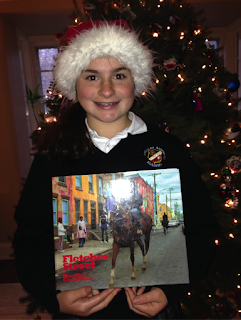 Several years ago my grandmother gave me the book “Fletcher Street” by Martha Camarillo for Christmas. As I paged through glossy photos I saw a side of Philadelphia I didn’t know. Not the center city I have come to cherish from taking the train into town to see the Christmas light show or having lunch at the Reading Terminal Market. From the train windows I would always see glimpses of North Philadelphia. 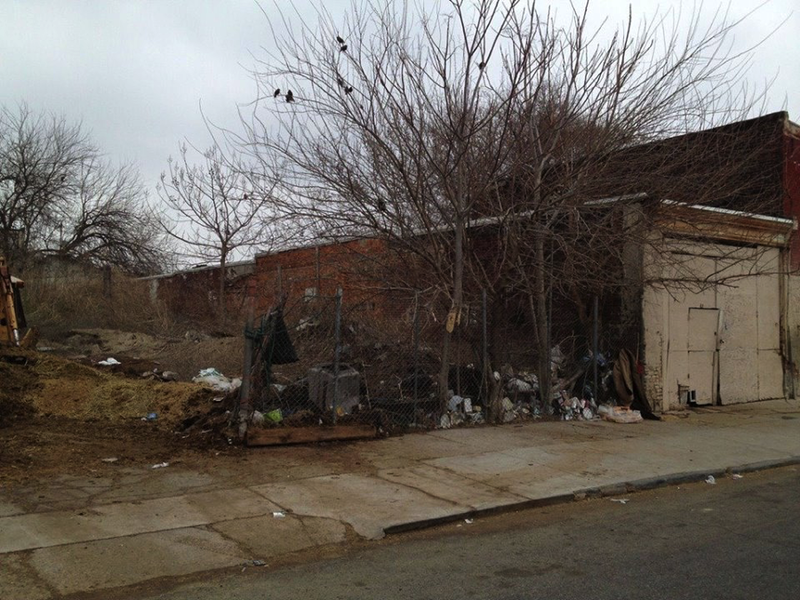 Boarded-up city neighborhoods crippled with poverty, crime, and drug problems. 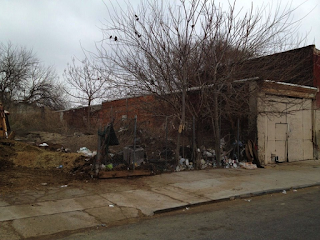 But Fletcher Street, in the Strawberry Mansion neighborhood, is different. Horses are the focus and the Fletcher Street Urban Riding Club has been around for decades, giving kids my age a chance to escape the life of drugs and violence; kids that share the same love of horses I have. When my grandmother gave me that book, Fletcher Street Urban Riding Club was strong--a safe place for kids to escape to and where they could learn responsibility through hard work and horsemanship. It also gave many horses a second chance at life and escape from the slaughterhouses. However, since that book was published the club has hit hard times. In 2008, the City’s Redevelopment Authority ordered the club off the land nicknamed “Fletcher Field." They bulldozed all the barns and corrals. Ever since, the club has struggled to exist. Ellis Ferrell, Jr., is the club’s president. He has dreamed of land to call his own. Land that he could build his own stables on and provide a positive future for the club. In the last year a glimmer of hope came in the form of a vacant lot, donated by real estate investor Adam Ehrlich. Now that Ellis finally had his vacant lot, it unfortunately was not empty. Unoccupied for years, people had used the lot as a dumping ground. It was filled with mountains of trash. This is when local horse enthusiasts learned of the club’s need for help. With the help of social media, donations of barn supplies and tack were collected at a local horse show. Karen Raach, of Rock Solid Stables in Limerick, Penn. organized efforts to help the club. When the time came to clear the lot, Dominique Damico, of Ramble on Farm in Berwyn, Penn. enlisted the help of her boyfriend, Dan Aquilante, of Aquilante Construction, who immediately organized a crew to clear the land the day after Thanksgiving. John Mastriano of Tustin Farm in Hainesport, NJ and his wife, Audrey Winzinger, of Winzinger, Inc. were watching the story unfold on Facebook and were thinking of ways to help beyond donating blankets or feed. When Dan stepped into the story, Audrey knew immediately how they could help. Dan had cleared the lot by then, and he and Audrey got together to figure out what material was needed to stabilize the ground. The Winzinger Company donated and delivered 125 tons of recycled concrete. The lot ground is now flat, ready, and stable for building. 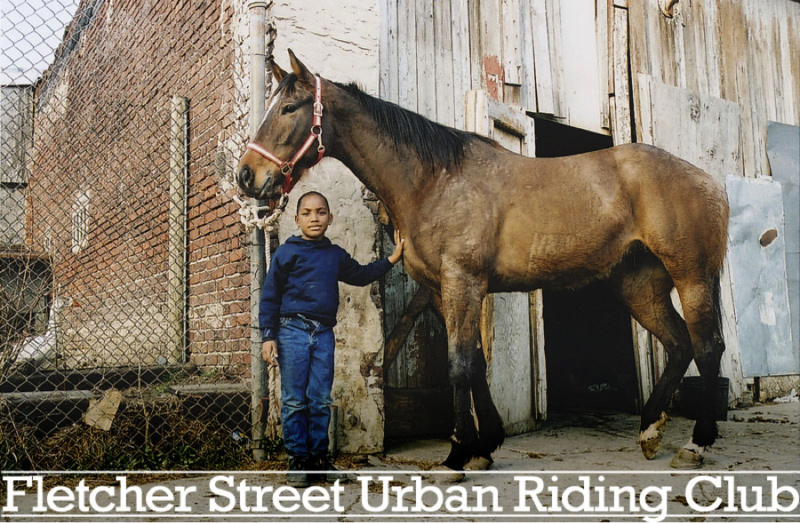 With the magic of Facebook this small horse community stepped in and helped carry the Fletcher Street Urban Riding Club one step closer to their dream. They are now in need of help for their final phase. The club is raising money for building their stables. I invite you to go to their Facebook page, Fletcher Street Urban Riding Club, where you will find their Rally Fundraiser page. Learn more about their journey to turn dreams into reality to give kids and horses a better life together. In this season of giving please consider a donation to support this inner city safe haven. Maggie Junkin is a 13 year-old who competes in the large pony division. She is committed to animal rescue. Her favorite rescue to support is Danny and Ron’s Rescue. She lives with her family, 6 dogs and 3 cats in Jenkintown, Penn. © Below The Cutoff 2015. All Rights Reserved.